It's Back to School time again -- time to make sure that our kids are properly outfitted to head back to school. Gift Shoppe is here to help parents and kids to go through this stressful time as easy as possible. 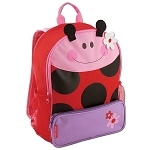 GiftShoppe.ca is your one place for all your needs for school kids. GiftShoppe.ca selects all of our products carefully, strives to have high quality, affordable, functional and durable products that parents and kids -- love and enjoy. We source our products directly from the manufacturers, our pricing is competitive, products are private label, and all proudly made in North America. 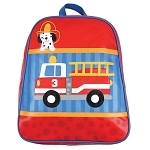 You can choose from a variety of backpacks, rolling backpacks, rolling luggage, lunch bags, duffle bags,costumes, dresses, capes, dancing shoes and dance wear, rain gear & umbrellas and you can match them all in one unique design from a variety of cool kids designs. We also have very comfortable fun kids leather squeaky shoes and sandals with removable squeaker. 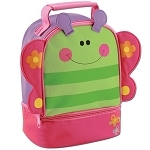 As we strive to have functional, high quality and fun kids products we will soon have a kids school supplies. GiftShoppe.ca makes parents lives easier, kids are happy and love our products. With Gift Shoppe your kids can stand out in the crowd, be stylish without breaking the bank or forcing you to run around the town all day searching out affordable, unique products.